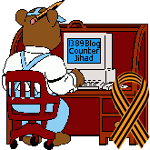 Reference Material — 1389 Blog - Counterjihad! Look at the top of the offender’s blog for the words Flag this blog. Click on the link to flag the blog as offensive. Use the Google Blogger Reporting Form to report the offender to Blogger. Google makes it especially difficult to contact anyone at Blogger.com. In the past, they could be emailed at support@blogger.com. How to Contact Blogger Support is a website with rolling updates on contacting the elusive Blogger.com. Also, please click HERE and email me directly. For anyone who has problems: try closing your browser, deleting all cookies that end in “@blogger.com”, and then start all over again. That sometimes clears up problems with Blogger. Click here for the YouTube contact form. wikipedia is a propaganda tool. Connecting The Dots: Google, Obama, Egypt, and the Muslim Brotherhood — 1389 Blog – Counterjihad! Al Qaeda Declares Internet Jihad Starting November 11, 2007 — 1389 Blog – Counterjihad!